Jack H Oakley, a soldier of the British 49th (Polar Bear) Division wrote on the 23rd in his diary: Raining again, miserable day. In the afternoon saw many gliders towed by Stirling bombers. An airborne invasion fore someone, somewhere. It was a terrific sight and the planes were coming over in waves for a couple of hours. Would very much like to know where they went. (This must have been the armada of which the glider with Rudy Kos in it was a part. The gliders where heading for the landing zone near Overasselt. This landing zone was not ideal since the fields where small and fences and ditches surrounded the fields but unlike the other drop zones the landing zone at Overasselt was positioned out of the reach of the German guns. Rudy Kos, 325th Glider Inf. Regt. 82nd ABN DIV. 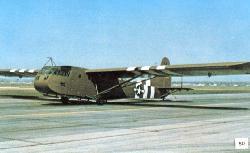 The gliders that Jack Oakley saw coming over, were part of the 325th Glider Infantry Regiment. Rudy Kos was in one of the gliders that took of with this group from England. His glider carried a 57th mm anti-tank gun. The other men in his crew where Cecil Rhodes, Tipton Webb and Tillman Biekes. The trip was very easy over the Channel and through Belgium, once over Holland they met heavy FLAK and their glider was shot down over Schijndel. They were very fortunate that the glider itself had not been hit by Flak. A shell had snapped the tow cable, forcing the glider to an early landing. That Schijndel was only a few miles away from the objectives of the 101st Airborne Division was not known to these men. They landed in an occupied part of Holland, several miles from Allied lines. They stayed hidden for the germans for a long time. After thirty-one days the Dutch resistance picked the small group up and transported them back to Allied lines. 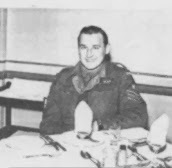 Read about the experiences of Rudy Kos on D-day on this website.